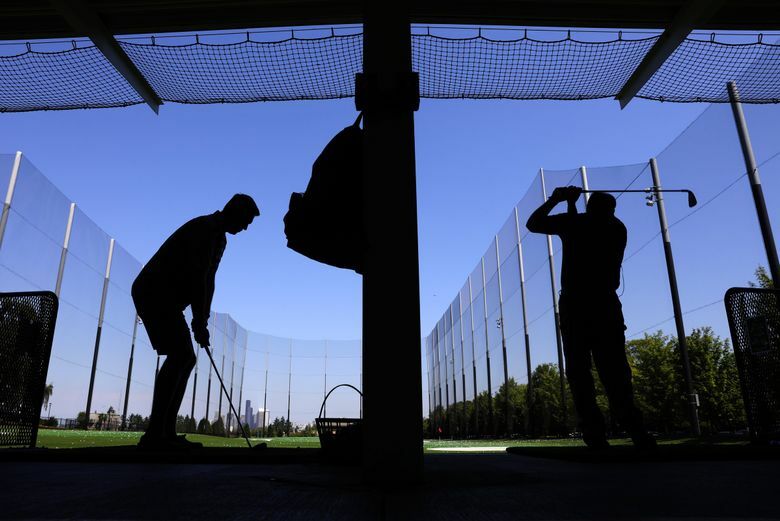 In part one of this new summer series reviewing golf courses around the region, Seattle Times golf writer Scott Hanson and golf writer emeritus Craig Smith ponder the effect of course changes at Jefferson Park Golf Club, though, hey, at least there's ample parking. Where better to start than the course where the greatest male golfer in state history learned the game? So retired Seattle Times golf writer Craig Smith, and I, Scott Hanson, who replaced Smith, went to Jefferson Park Golf Course in Seattle, where Fred Couples began playing the game, for our first in a series of reviews of local golf courses. Before we start, it has to be stated that neither of us sees courses with the eye of a single-digit handicapper playing from the back tees. We are similar to the vast majority of players we see out there, one happy to break 90 from the white tees (Smith) and one happy to break 100 (Hanson). Hanson: Perhaps the only thing I have in common with Couples is that I also started playing golf at Jefferson, and perhaps have played more rounds there than at any other course. But it has been several years since I last played the course, and while there is definitely a sense of familiarity, much has changed. Most of the changes were for the good, particularly the new clubhouse and driving range that opened in 2015 and the much better overall condition of the course, particularly the greens. But I missed the massive Douglas fir on the difficult par-4 seventh hole (removed in 2011) that I always seemed to hit, and holes No. 11 and No. 12 are shells of their former selves. Smith: Jefferson has always struck me as having a good vibe because of the ethnic mix of friendly people who play the course. But this time I was more impressed with the good food in the restaurant than with the course. The back nine now starts with three par-3s. I can’t recommend Jefferson to anyone with a handicap index under 15. Hanson: Perhaps my most pleasant surprise was finding a parking lot, rather than hoping to find street parking, which was never a sure thing. The new clubhouse and driving range are top-tier level, and the restaurant served perhaps the best golf-course hamburger I have eaten (and having said that, I think I would next order the club sandwich one of our playing partners said was the best he has had). The course was in much better condition than I remember it ever being in, and the greens were nice and way, way faster than any I had encountered before at Jefferson. I could not wrap my brain around fast greens at Jefferson, even putting one ball off the green. Smith: The front nine is very walkable and the course has some good views of the Cascades, Lake Washington, downtown Bellevue and Mount Rainier. It’s impossible not to admire the history of this 103-year-old course. Not only was it the growing-up course of the sainted Couples but also of Bill Wright, who in 1959 became the first black golfer to win a USGA championship when he won the U.S. Public Links in Denver. Jefferson also is home to the Fir State Golf Club, a minority club established in 1947 to circumvent a roundabout ban on blacks playing in public tournaments because they didn’t belong to a golf organization. The food? I’m not the first person to rave about it. Golf Digest honored the restaurant in 2016 and cited its BLT with fried egg as among the top 15 public clubhouse restaurant dishes in the nation. Hanson: Without the tree on No. 7, there really are no memorable holes on the par-36 front nine. Hole No. 11 was once one of the best on the course, with a downhill approach shot on a long par-4 (436 yards from white tees) that came with a nice view. It has been turned into a par-3 that is 178 yards from the white tees. And the par-3 12th hole has been severely shortened to 93 yards (101 from the back tees), and it looks like a pitch-and-putt hole. I missed playing it from 168 yards even though it always gave me fits with trees and the street looming on a sliced shot. Now the first three holes of the back nine are par-3s, and the par-33 backside seems more like an executive course. The changes on 11 and 12 were made to reduce balls being hit into the surrounding neighborhood because the poplar trees that blocked many shots had to removed because they were unhealthy. 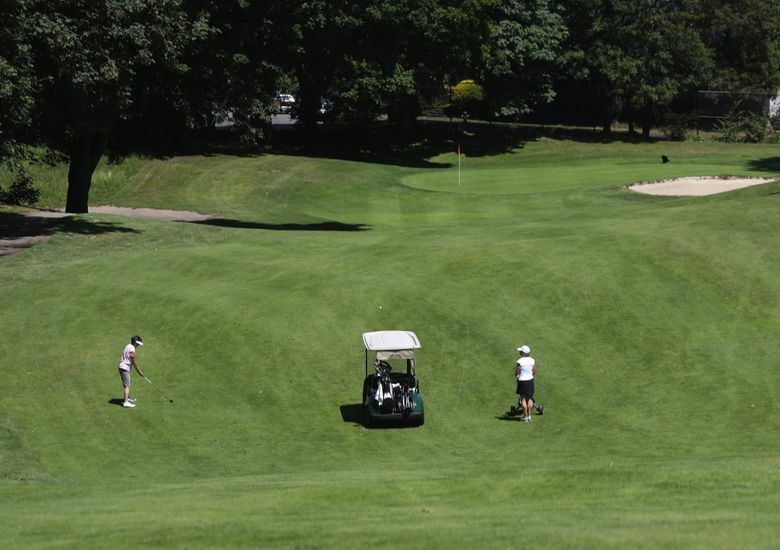 There is a plan to reverse holes 11, 12 and 13 that would allow the course to return to a par-34 on the back nine, but it will be at least the fall of 2019 before it could be done, according to Matt Amundsen, president of Premier Golf, which manages Jefferson for the city of Seattle. Smith: The course is emasculated by its back-nine start of three consecutive par-3s, none of them notable. The course has a shortage of memorable holes, with the par-5 17th the best hole on the course for my money. At least the final six holes give you the feeling you’re playing an interesting golf course. Hanson: It cost $28.50 for me and $23.50 (senior rate) for Craig to play, and that seemed very fair. As the slope (109), rating (65.5) and yardage (5,467) from the white tees would suggest, it’s not difficult as long as you can stay out of the trees. The three consecutive par-3s to start the back nine sure help the score. The round took just three hours, 45 minutes, and that was a huge plus for me. I didn’t struggle too much to break 100, even though I didn’t play well, even by my modest standards. Smith: The course is affordable and was in decent shape, but par-33 on the back nine? Sorry. Hanson: 2 ½. I was impressed with the new amenities and the condition, but the changes on 11 and 12 were a downer. But after not playing there for years, I will return much sooner. Smith: I had trouble conceiving that this was the same course that once played host to a national championship — the 1967 U.S. Public Links Championship. In its shortened state, I can think of high school leagues that would avoid it for championships. Jefferson’s rich history is the only reason I’m not dipping below two stars. There are many better places to play golf. But I’ll be back to eat. Scott Hanson has been covering golf for The Seattle Times since 2005; Craig Smith covered golf for decades for the Seattle Times before retiring in 2008. Craig Smith Craig Smith, perhaps best known by his column name of "Sideline Smitty," was a Seattle Times sportswriter for 32 years before retiring.